Mobile Suit Gundam SEED Destiny Wallpaper: . : promise :. 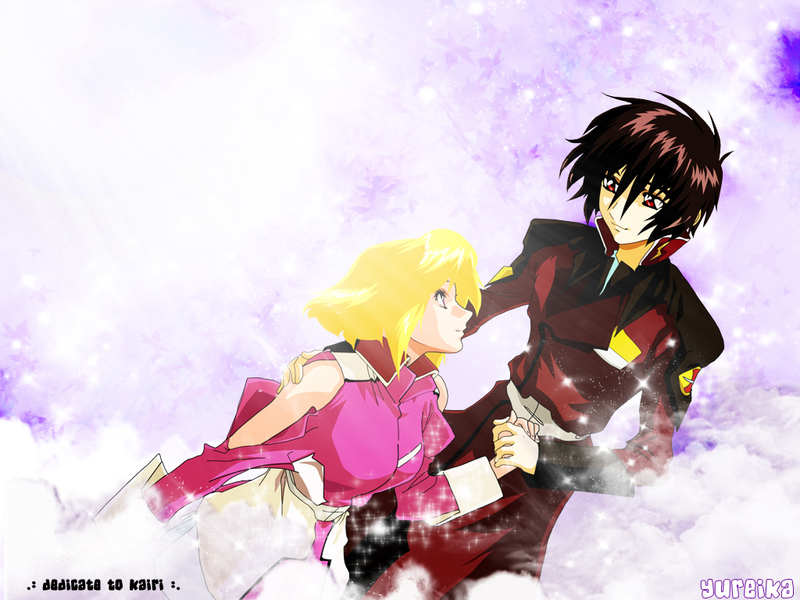 Minitokyo »	Mobile Suit Gundam SEED Destiny Wallpapers » Mobile Suit Gundam SEED Destiny Wallpaper: . : promise :. ok i got it ! the image was vector by me ..:kykakuyaku:. anyway dedicating this wall to kairi cuz she is such a kind and talented person ! umm i am kinda not satisfied how the bg turn out cuz its to bright ! dont yoall think ? :hmpf: sumimasen kairi ! enjoy and c&c is much appreciate ! anyway..good concept...like them emerging from the clouds...but still =.="
It looks so great,the bg is well match them. Nice wallie of shinn x stellar :) Great job! You know what, your vector looks much better after you walled it. Shinn looks really well done. The bg is a lil simple. I think maybe more brushwork or a planet in the upper left corner would create a more balanced look. But I do like the heavely scenes and the colors for it. The sparkles were done well and not overdone. Really good work. I agree with walkure, the vector looks better when walled! What a nice wallie!This wallie is really great.Good work.You spent lots of time on this picture,didn't you? I hope to see more of your great work like this again.Take care. Looks cool but maybe it's too bright. Awsome i love those two they are sooo sute together great work! An author can draw it well.